We know something that’s on your holiday shopping list. And we don’t even have to read your mind to know it. You’re buying batteries — and you’re buying lots of ’em. 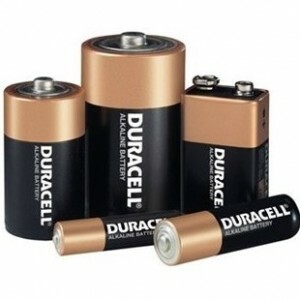 If you have kids, you’re buying batteries for their electronic games and toys. If you have grandchildren, you’re buying batteries for their stuff. (You may not have a clue what you’re actually getting them, but you still know it needs batteries.) No kid wants to work hard all year to make the “nice list” and wake up on Christmas morning without the batteries they need to power the presents they earned! Billionaire investor Warren Buffett, America’s second-richest man, is buying batteries too. But he’s doing it a little differently from you and me. He isn’t just buying batteries. He’s buying the company that makes the batteries. And he’s saving a billion dollars in taxes along the way! Just try doing that the next time you stop at Radio Shack for a pack of AAs (if they’re still open by the time you read this, that is). Here’s what makes the deal interesting. Buffett “just happens” to have $4.7 billion worth of P&G stock sitting in his sleigh, stock he acquired for $336 million. Now, he could certainly sell that stock and use the cash to pay for Duracell. Unfortunately, that would mean paying 35% corporate tax on his gain, which would leave him a hair under $3.2 billion to use for his batteries. But, by swapping that P&G stock directly for the battery company, Buffett avoids paying tax on his entire gain. Zero! The strategy is called a “cash-rich split-off,” and it’s perfectly legal. It won’t land Buffett in hot water with the IRS. It won’t even put him on Santa’s “naughty list”! You might think that sort of strategy only works for billionaires like Buffett. But you can take advantage of a similar strategy, at least when you make charitable gifts. Let’s say you paid $1,000 for some shares of stock that are now worth $10,000. You want to donate that stock to your church. You could sell the stock, donate the after-tax proceeds, and take a deduction for your after-tax gift. Or, you could just give the stock and let the church sell it. That avoids tax on the gain, just as Buffett did with his cash-rich split-off, and even gives you a deduction for the full pre-tax value of your stock. Buffett hasn’t been shy about criticizing the tax system. In 2011, he made headlines when he pointed out that his secretary pays a higher marginal rate then he does. President Obama even dubbed his proposal to impose a minimum tax of 30% on incomes over $1 million the “Buffett Rule.” But while Buffett may think the law is unfair, he still isn’t going to pay any more than it requires. He told Fortune magazine “I will not pay a dime more of individual taxes than I owe, and I won’t pay a dime more of corporate taxes than we owe.” And the Duracell deal isn’t even his first cash-rich split-off for 2014! Warren Buffett wants the same thing for Christmas that you do — tax savings! And he knows he can’t just wait for Santa to leave them under his tree. He knows he needs a plan. Fortunately, you don’t have to be a billionaire to get the plan you need. There’s even time to put it on your Christmas list! Don’t write a letter to Santa, just pick up the phone and call us — while there’s still time to save in 2014!